If you are a referring doctor trying to register a patient or view your patient’s information on our system, please login here. If you do not already have one, please call our office for a username and password. We are in-network providers for patients who have Delta Dental Premier, Cigna, and Guardian. We accept all traditional insurance plans and also provide CareCredit options for patients having difficulty paying for treatment. Even if a patient is coming to us out of network, their insurance may cover at in-network percentages; please call and we can let you know. We are making concerted efforts to reach out to our referring dentists, our patients, and endodontists around the globe. So that we can get to know each other better, connect with us on Facebook, Twitter, LinkedIn and Google+ with the icons on the right, and subscribe to our newsletter. If you would like more information about these social media technologies, let us know via the “Contact Us” button above. 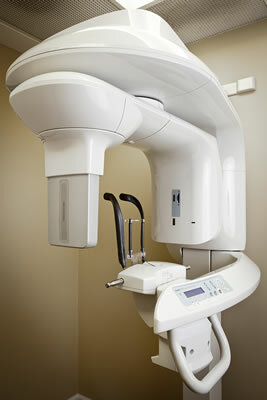 This office has a Kodak 9000 3D cone beam unit that takes limited field (35mm x 50mm) scans as well as panoramic radiographs. This is the newest technology to affect endodontics and we were the first endodontic office in Oakland County to have one. Use of this technology can assist in diagnosis and treatment planning and has helped us confirm or dismiss the need for endodontic treatment. 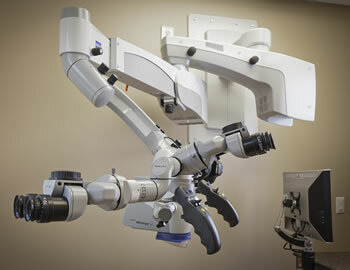 Dr. Dietz has made significant investment in using the highest quality microscope available to dentists. It is used from start to finish on every patient without exception. Digital photos are continually taken through the scope in order to communicate the details of each case with you. There is also an assistant scope that allows the assistant to actively participate in delivering high quality care, which results in an improved experience for your patient. Dr. Dietz makes use of a variety of technologies that improve care to patients. Our delivery system is equipped with two ultrasonic units. Ultrasonics are useful in removing pulp stones, conservatively removing tooth structure, locating hard to find canals, removing posts, and for cleaning the tooth. Having two units allows us to have multiple options immediately at hand so that no compromises are made. This makes for thorough treatment without the sacrifice of a longer appointment. Kodak Digital Sensors are used when easily accepted by the patient – these sensors provide enhanced images useful to endodontic treatment. Digital phosphor plates are used if the patient is having difficulty using the sensors.